Dancers with the new Cleveland Ballet and Neos Dance Theatre perform Gladisa Guadalupe’s “Schubert” Photo by Mark Horning. Cleveland Ballet & Neos Dance Theatre – Past. Present. Future. Gladisa Guadalupe’s new Cleveland Ballet took its first steps Saturday, October 3 at PlayhouseSquare’s Ohio Theatre on the road to becoming the city’s newest resident ballet company. More likely a marathon than a sprint in its quest to recapture some of the artistic glory of its predecessor of the same name that departed Cleveland in 2000, the new troupe of six wisely chose to collaborate with Neos Dance Theatre for Past. Present. Future., its debut production. Neos did most of the heavy lifting in the program, with the 10-year-old Mansfield-based troupe providing the bulk of the dancers on stage and the evening’s best dance works. 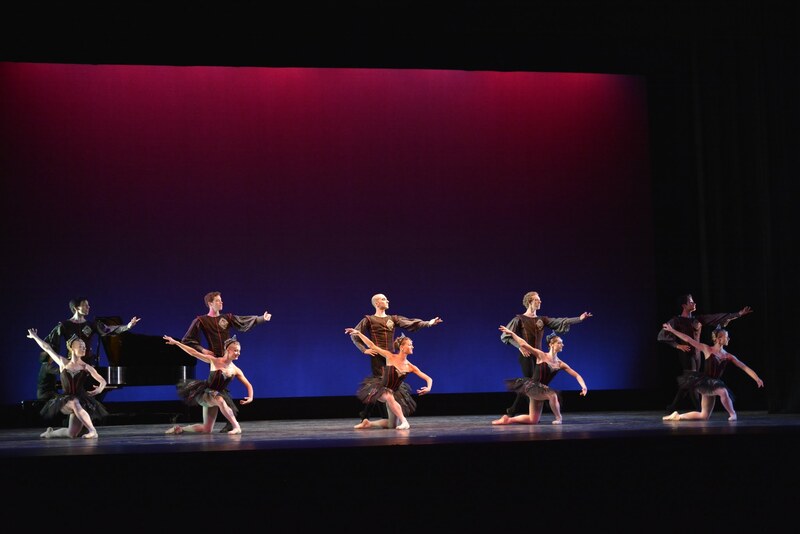 Neos Dance Theatre & Cleveland Ballet dancers in Joseph Morrissey’s “Suite for Strings.” Photo by Mark Horning. The stylistically diverse and entertaining program led off with choreographer Joseph Morrissey’s neo-classical ballet Suite for Strings (2015), which Neos premiered this past July at Akron’s Heinz Poll Summer Dance Festival. Set to searing violin music by Janacek, the ballet for four couples spun through a series of lovely movement patterns punctuated by a recurring windmill arm movement. Each couple then performed a pas de deux. The most memorable were dancers Brooke Wesner and Ethan Michael Lee in one defined by sweeping turns and drags, and guest dancers Kate Griffith and Alec Guthrie in one in which Guthrie anchored Griffith through a succession of lovely outstretched body poses. 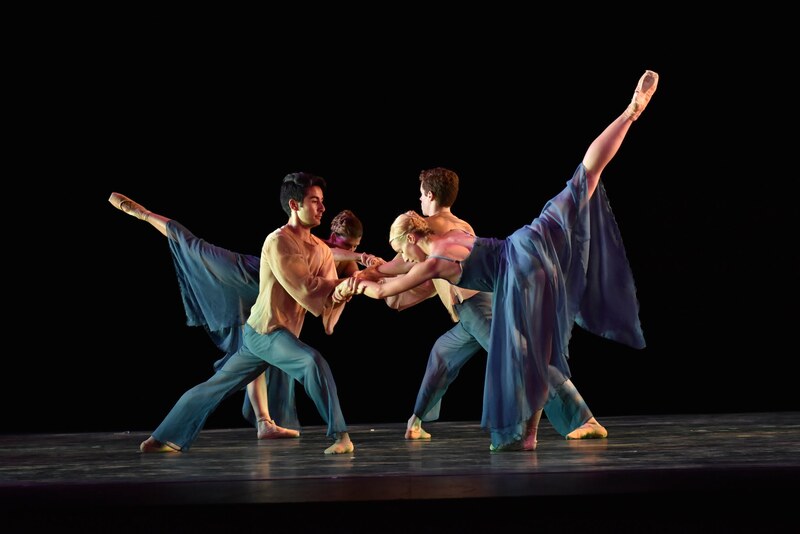 Neos Dance Theatre & Cleveland Ballet dancers in Robert Wesner’s “Searching for the Find.” Photo by Mark Horning. Next, Neos artistic director Robert Wesner’s Searching for the Find (2015), set to a mix of stylized Asian music, sent six women and four men marching about the stage and uniting for brief interludes. The well-crafted and nicely danced contemporary ballet in three sections, which Neos also premiered in July, had a mostly tranquil drift to it. Patterns formed and then dissipated, leaving in their wake lingering reflections of beauty. 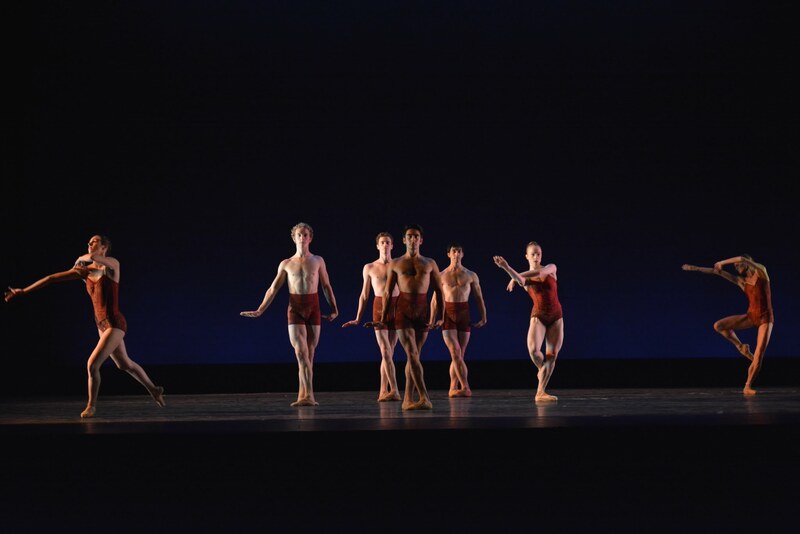 The first of two premieres on the program, Guadalupe’s Schubert, was the first ballet to show off Cleveland Ballet’s women alongside Neos’ dancers. Danced to live accompaniment by pianist Gerardo Teissonniere playing a Schubert score, the classical ballet quintet’s choreography, while academic, held a certain refined charm. 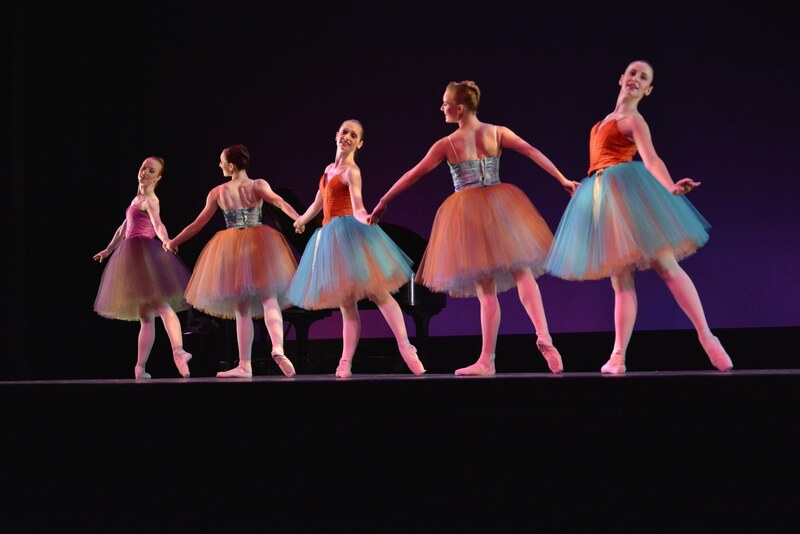 The dancers in pointe shoes and pastel tutus by costume designer Victoria Mearini conjured up images of Degas ballet paintings. Neos Dance Theatre’s Brooke and Robert Wesner in Robert Wesner’s “necessary.negatives.” Photo by Mark Horning. Teissonniere then played the music of Bach to accompany Brooke and Robert Wesner in the evening’s finest work, necessary.negatives. Choreographed by Robert Wesner, the exquisite contemporary ballet pas de deux reflected on the Wesners’ many years of dancing together. Filled with delicate touches, deep bending holds and slowly evolving turns, the work enjoyed a sumptuous performance. The program closed with Glazunov, staged by Guadalupe and Cynthia Graham and set to music by the composer (and the night’s pianist) Jee-Won Oh. A collection of excerpts from Marius Petipa’s ballet Raymonda, the ballet revealed the technical unevenness of the two company’s dancers in classical repertoire. Cleveland Ballet’s young dancers, still refining their talents, mostly fared well — especially dancers Victor Jarvis and Luke Potgieter — in a sequence of nicely executed double tour en l’air jumps. Cleveland Ballet & Neos Dance Theatre dancers in “Glazunov” (excerpts from Marius Petipa’s Raymonda set by Cynthia Graham and Gladisa Guadalupe). Photo by Mark Horning. 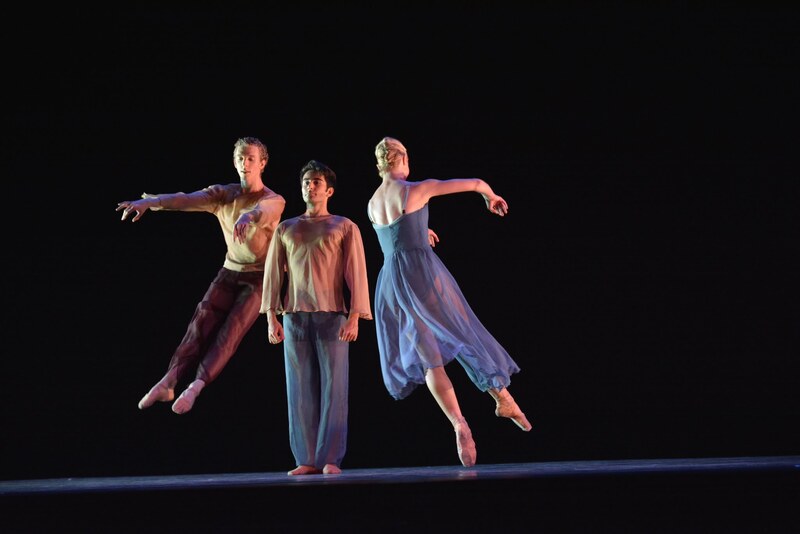 Cleveland Ballet & Neos Dance Theatre dancers (Brooke Wesner – center) in “Glazunov” (excerpts from Marius Petipa’s Raymonda set by Cynthia Graham and Gladisa Guadalupe). Photo by Mark Horning. Though beautifully costumed, and featuring some bright moments by lead couple Brooke Wesner and guest dancer Seth Parker, the ballet overall lacked the energy and fullness given to it by an orchestrated score. Past. Present. Future. was a qualified success, thanks in large part to Neos Dance Theatre, whose presence on Cleveland stages has been long overdue. The new Cleveland Ballet’s first steps were respectable, if a bit shaky. The opportunity for Clevelanders to witness the growth and transformation of this new company in the coming years should offer a unique and compelling view on what it takes to build a high-caliber ballet company. This article first appeared October 6, 2015 on The Plain Dealer’s webstie Cleveland.com. Copyright Steve Sucato.